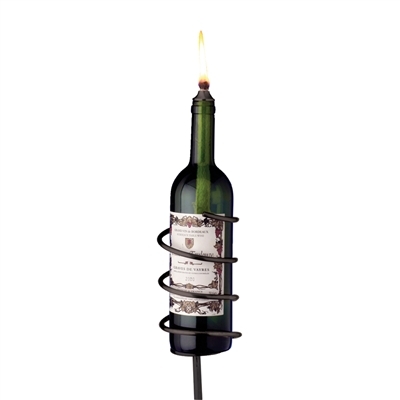 Turn your wine bottle into an outdoor torch with this Black Garden Stake Set. Set includes stake, bottle wick and snuffer. Stake knocks down to 16" segments, allowing three choices for the height of the stake. Maximum height is 5 feet.